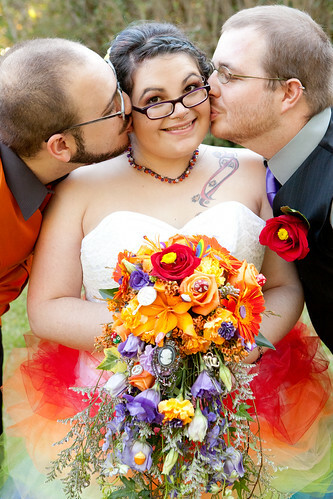 Polyamory in the News: "Kitten, Brynn, and Doll's rainbow garden of poly love three-bride wedding"
Well, this is an overload of cute! And the article's comments section gets interesting when the three brides get involved, going into detail about how they pulled this shindig together, and how they ironed out the legal aspects of a three-way marriage. Thanks for this.